PHH provide Management, Refurbishment and Demolition Asbestos Surveys for compliance with Health and Safety, CDM and CAR Regulations. PHH Environmental (UK) Ltd provide Asbestos Surveys on all categories of building throughout the UK. We are particularly accomplished at working in occupied premises that require a sensitive approach to occupants. 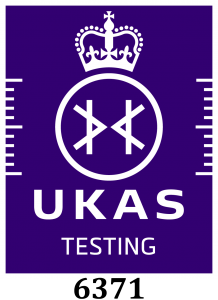 PHH are UKAS accredited to ISO 17020:2012 for the provision of all types of Asbestos Surveys and Priority Risk Assessments, our Accredited Body Number is 384. All surveys are carried out in accordance with HSE HSG264 and HSG227 which are the approved and recognised format for asbestos surveys in the UK. Each survey results in a report containing an asbestos register. Our services are competitive and 'best value'. Prospective clients should be aware that there are a number of small operators that do not have appropriate insurance cover, who are offering asbestos surveys. We are able to provide fixed price quotations or can work on a negotiated cost plus overheads and profit basis. Negotiation can be as part of a client wishing to subscribe to 'Egan' principles in relation to partnering in the supply chain. Dependant upon the clients needs, we offer all types of asbestos surveys and all types of properties and on completion we issue pdf copies of the report as standard. Reports can also be issued in hard copy (we may charge to cover material and admin costs) or can be made available on our unique asbestos register that is individually tailored to each client. PHH can also provide update surveys (PHH are not Accredited for this service) or complete re-inspection surveys of existing PHH or other company inspections and provide online access to them via our online register service.